All 4 cast members of Seinfeld are reuniting for multiple episodes of HBO’s Curb Your Enthusiasm. This is so cool, can't wait for the new season. 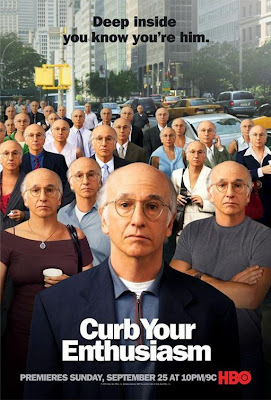 If you don't know Curb your enthusiasm it's a show written and staring Larry David the co-creator of Seinfeld. It's probably the best comedy show of the last 10 years. That's pretty pretty fantastic. Curb your enthusiasm is awesome. Do you have any idea when the new season starts? Thanks for sharing this blog with us. Its really nice as the show is. I saw its every episode & now I have a site to watch this show. So Watch Curb Your Enthusiasm TV show for entertain yourself!!! !